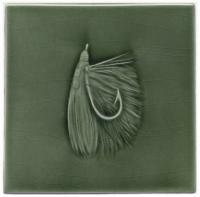 This 4x4" handmade tile depicts a hand tied fly used in the popular sport of fly fishing. This is the second of two fly images. 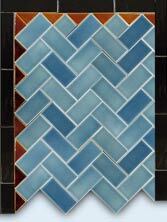 They were originally designed for the kitchen back-splash of an Adirondack lodge. The details are carved in low relief. Available in all glaze colors.